You want to move app icon on iPhone 8, iPhone 8 Plus or iPhone XS max, XS 3D Touch Screen device. It’s tough and adjusts touchscreen sensitivity based on your finger’s pressure; it maybe varies for different users. So Apple gives the option for changing 3D touch sensitivity on iPhone devices. We recommend using set 3D touch Sensitivity to Firm (Light, Medium, and Firm) – Unable to move apps icon or Start Jiggle on Home Screen. If you set 3D touch sensitivity on low pressure. Whenever you tried to move App icon or Next folder in iOS 11 using new Drage and Drop features. Pick, and a Pop popup appears on the screen in place of App icon jiggle. New iOS device comes with the more faster processor; you need to care about touchscreen gesture. 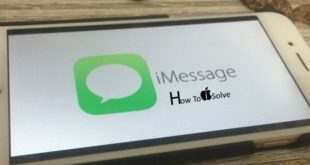 Step #1: Unlock your iPhone 8, 8 Plus or iPhone X, iPhone XS, XS Max. Step 3: Once Jiggle start you can move the app to Different home screen pane and create a folder by a slide and hover on other app icons. Tap and Drage app slightly on the screen from its first position. Now use the Secondhand to collect apps that you move in Group at once. Or add to the existing folder. The Same way we can ungroup or come out multiple apps from Folder. Hope this trick does work to Move apps on iPhone 8, 8 Plus and iPhone X, XS Max, XS using Multitasking Drage and Drop features. Once apps icon on mail screen jiggle or Wiggle, you can move or remove/Delete the app from iPhone home screen. Hope you enjoyed and done your job by visiting and following the above steps. Share and comment us for more help and guide. Join us on our Social page, FaceBook, Twitter and Google Plus.